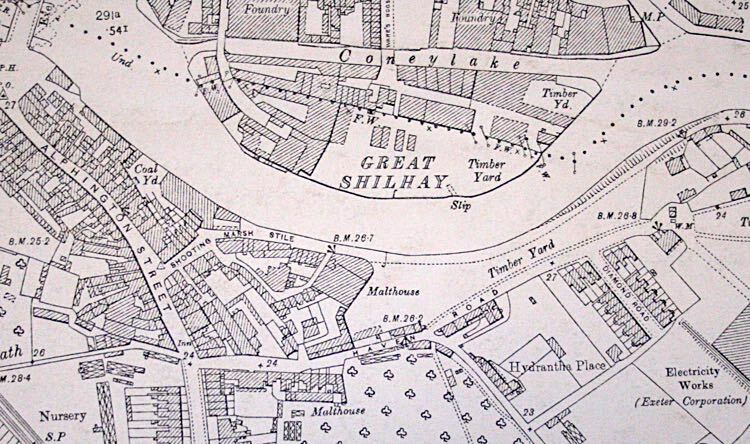 The heart of Exeter's woolen industry was situated at or near to Shilhay. Up to the 9th century, it was largely a sand, gravel and mud covered bank with reeds, on the east bank of the Exe below the city wall. There is evidence that the Saxons had built leats to drain the land and developed the area for industrial use. Nicholas Gervase, who built the first Exe bridge, developed the area for industry by building a mill. The Courtenay's who owned Shilhay and had granted Gervase permission to develop it, added further leats and fulling mills. Within a few years the land had been raised and there were 20 or so waterwheels fulling wool and grinding corn in Exe Island and Shilhay. In the 16th century it was known as 'The Shellye'. The island was known as Greater Shilhay while the land between Coney Lake and the Lower Leat was Little Shilhay. The wool was processed in fulling mills to strengthen the cloth and then vast amounts of water and ammonia was used to clean the wool. Urine was the source of the ammonia which was collected by 'piss carts' which toured the city picking up the contents of chamber pots from inns, taverns and households. The cloth was hung on racks and stretched on tenter-frames from 'tenterhooks' to dry. A tenterhook was L shaped, about 5 cms long with a pointed long side. The rack fields were always under threat from flooding as reported in the Flying Post in January 1809. "The tenter racks in the Bonhay and Shilley(sic) were completely covered, and many of them carried away, with the pieces of them." The canal like cut that separated Shilhay from the area to the west of the lower leat was probably a natural feature from when the Shilhay was a shingle and gravel bank. It is shown as 'Cully Lake' on the 1715 Sutton Nichols map and on the later map by Donne from 1765, when Shilhay was covered in rack fields. 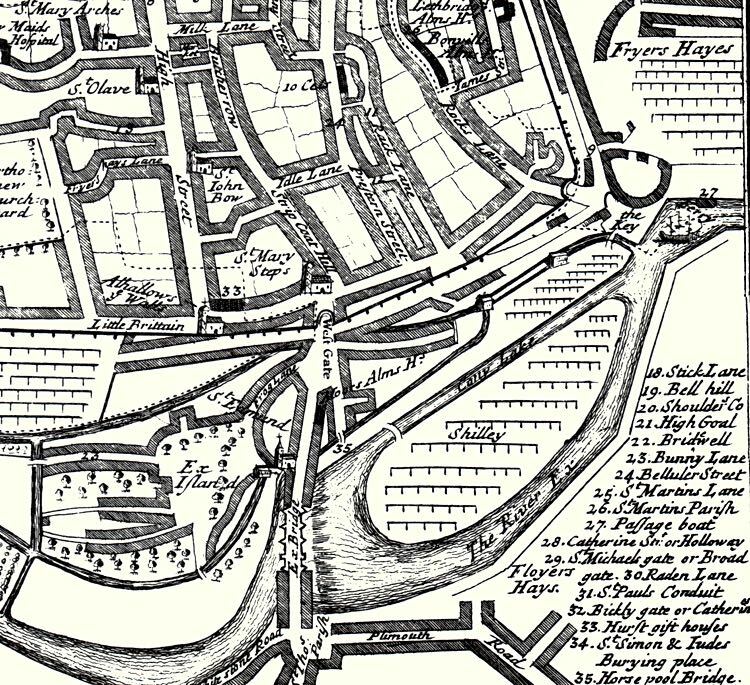 A map from 1805, shows half the channel has been filled in, and the part still surviving has become a coal quay. In the issue of 20 December 1804, a notice appeared in the Flying Post requesting that "... persons as shall be willing to contract for allotments of ground, in the Great Shilhay ... through which a canal is intended to be cut, for bringing up goods from the quay, to the said allotments of ground ..." Later events suggest that the so called 'new cut' was to prevent flooding on the St Thomas side. 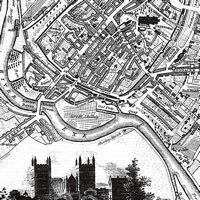 Nothing happened until June 1809 when another notice placed by the City Surveyor requested suitable contractors to tender to cut a canal level with the river bed and about 40 ft in width from the coal yard at the quay, across the Greater Shilhay, to emerge just below Exe Bridge. 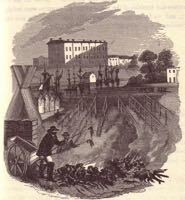 By August a notice appeared announcing that there were several plots of land for lease " ... adjoining the Canal, now cutting there." Eventually, two small bridges were built to join the new island of Shilhay to the land adjoining Commercial Road. 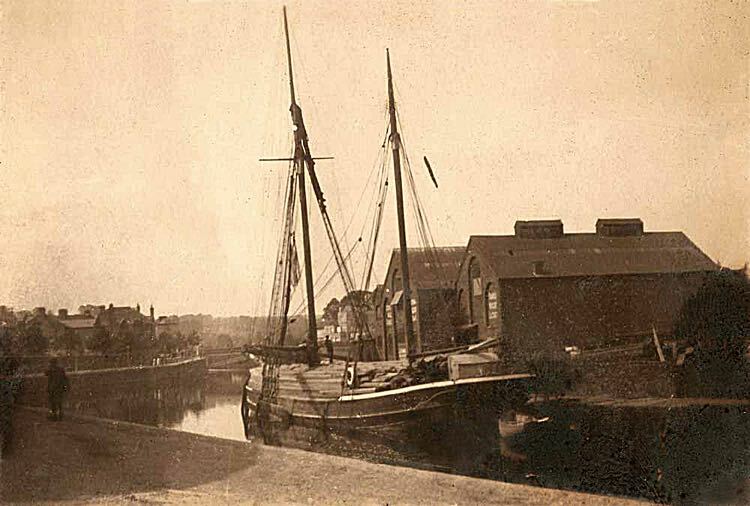 By the 1860s, the lesson of flood prevention was forgotten, because Gabriel's Timber Yard on the Shilhay was mooring timber across the entrance to the canal. St Thomas Health Board contacted the city council to have the obstruction removed in 1861, after Alphington Street suffered a flood. By 1865 the canal which was referred to as Coney of Gunny Lake, was in a 'foul state' due to raw sewage. Coney Lake continued to be polluted for much of the rest of the century. 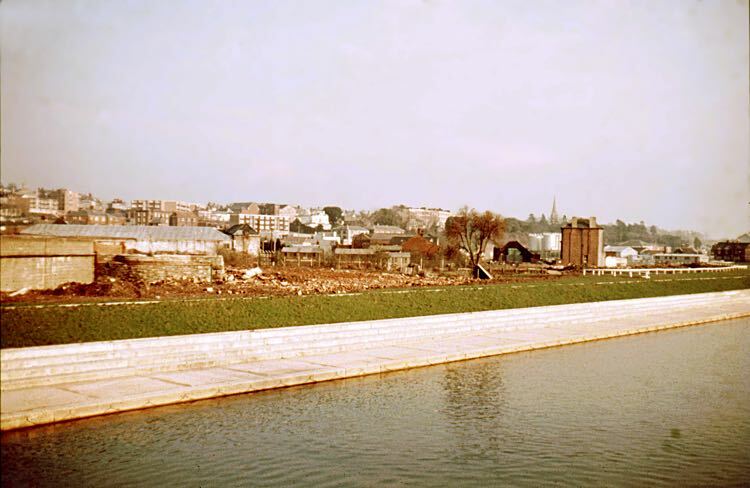 It was filled in during the 1970s, during the major work of building the new double Exe crossings, and raising the banks to protect the area from flooding. An estate of social housing was built over the route of the canal. 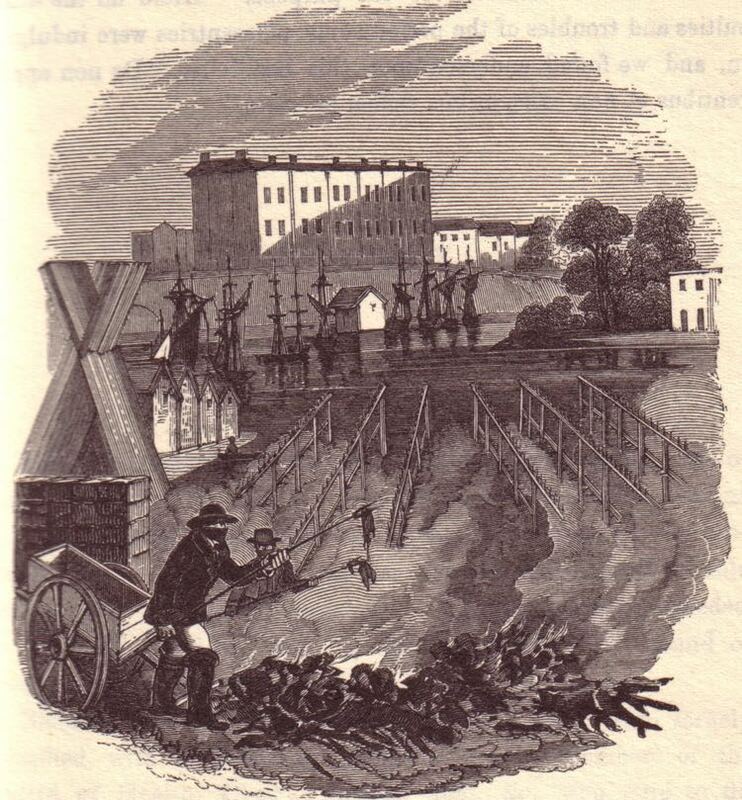 During the cholera epidemic of 1832, the rackfields of Shilhay, along with fields at Lion's Holt, were used for burning and burying the clothes of the infected victims. Thomas Shapter, in his History of the Cholera in Exeter wrote in 1849. "The place in which the process of destroying and purifying the clothes, &c, chiefly took place, was towards the lower part of the Shilhay, a spot of ground in all respects suitable for this purpose. 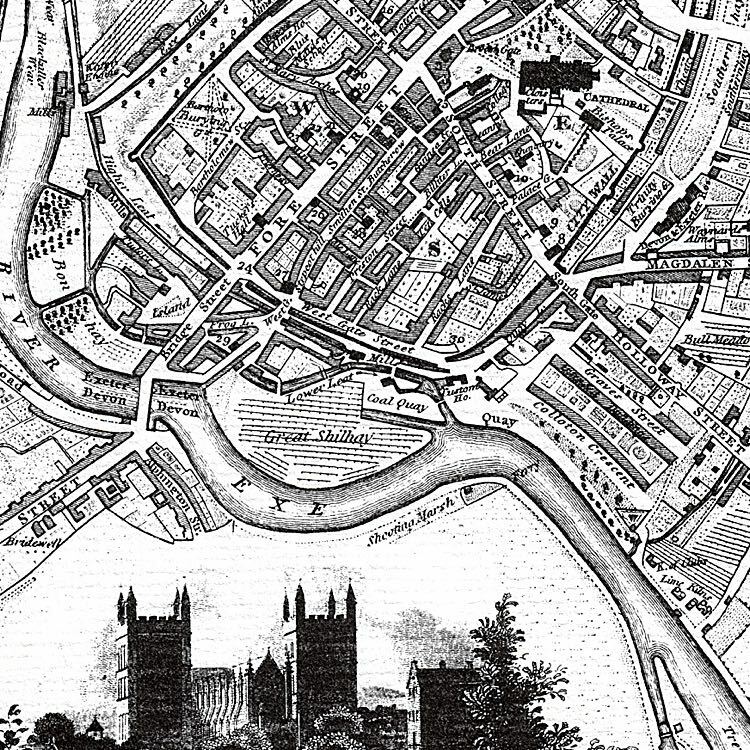 Entirely surrounded by the water of the river and neighbouring streams, it formed an island, which, though immediately contiguous and accessible to the quarter of the City where the great amount of mortality occurred, was sufficiently removed from the residences of the people to be free from any objection on this account." Bodley Brothers, who had been going since 1790, and Bodley and Taylor were the two iron foundries on Little Shilhay, producing everything from parts for traction engines, carriage fittings and huge gear wheels for industry. Elsewhere, along Commercial Road, during the early 20th century could be found, Openheimer's the sausage skin makers, W Brown the engineers, Horwill's the forage merchants, Kennaway's the wine and spirit merchants and the Sweden & Norway Vice-Consulate, reflecting the timber import trade into Gabriel's Yard. Greater Shilhay became a vast timber yard run by Gabriel & Co, along with J L Thomas, candle makers and J L Thomas' Sunlight Soap Works. 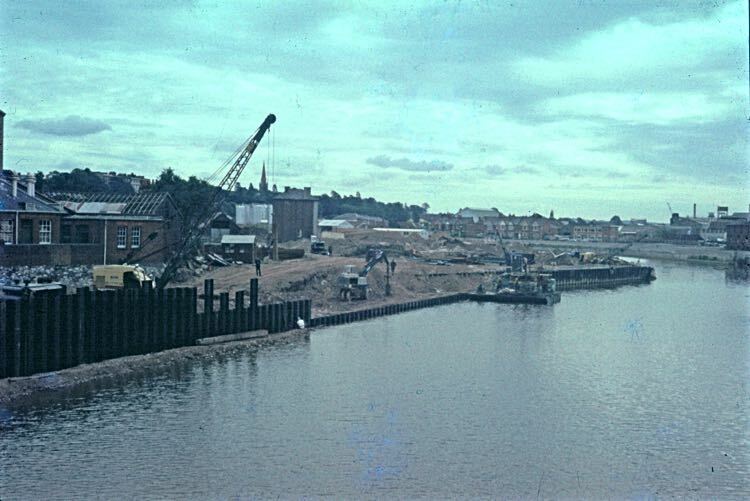 It was the development of Haven Banks, and especially Marsh Barton, that saw a decline in industry in the area, after the Second War. The parish boundary between Exeter and St Thomas ran through the centre of Shilhay. This came into question in 1868, when the Council Committee discussed the safe storage of flammable liquids at the quay. One member remarked that dangerous liquids were stored on Shilhay, on the St Thomas side of the boundary, preventing Exeter from passing safety regulations that included the whole of Shilhay. 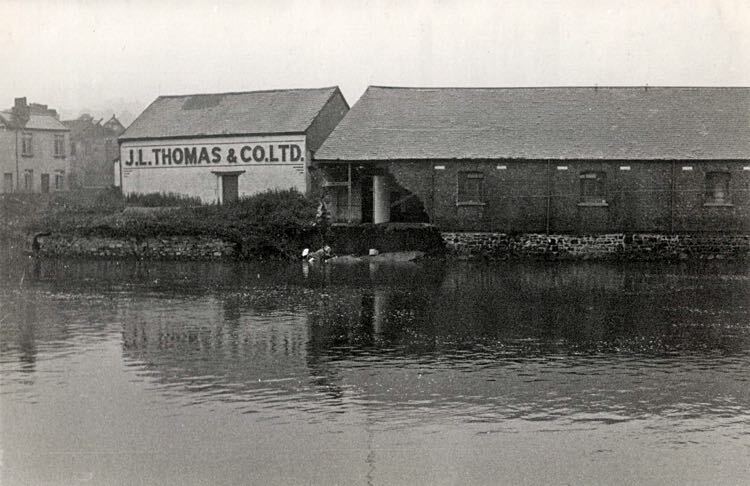 It was probably J L Thomas, who kept the store, as their works spread across the boundary. Shilhay was constantly changing, as some industries declined and others prospered. Land became derelict and then reused. The Foresters Arms stood on the corner of Commercial Road and the main entrance to Gabriel's Yard. It was demolished and a large area of ground became a Pleasure Garden in the middle of an industrial landscape. It may have never had roses, but it provided an area for children to play football. Shilhay, and Gabriel's Yard were hit by a whirlwind in the second decade of the twentieth century, forcing people to shelter from the flying debris. The whirlwind is remembered by Cyril Brown. 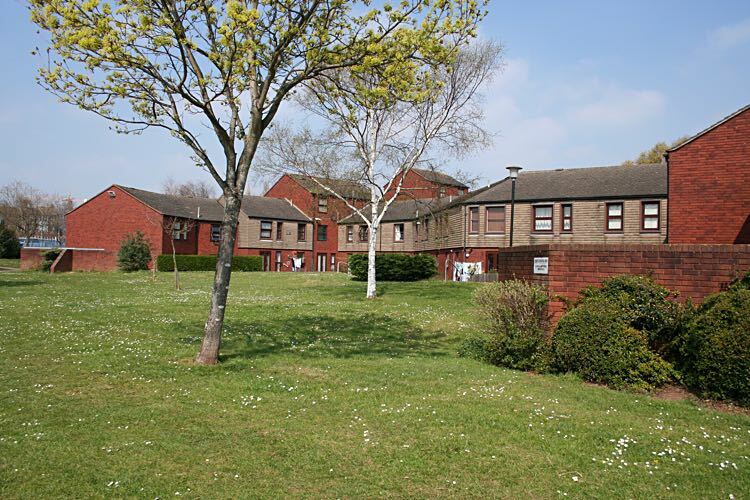 Now, Shilhay has been raised to protect it from flooding - in October 1979, a competition run by the Secretary of State for the Environment and the IRBA for a new residential development declared a winner, Marshman, Warren and Taylor. Their winning design, numbered 150 homes built around several courtyards named after woollen trades such as Fuller, Weaver and Dyer. The press said 'City's Colditz wins design prize'. In the event, the result was later referred to as 'well designed and successfully relates to the existing area'. Shilhay is now a pleasant residential area on the edge of the historic quay where pubs, cafes, restaurants and many small craft shops are situated. Sources: Trewman's Exeter Flying Post, Express & Echo and the reminisces of Cyril Brown. 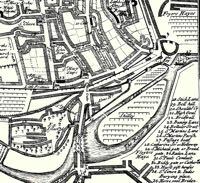 The 1715 Sutton Nichols Map showing the 'canal', making Shilhay an island. The 1805 map that shows Shilhay is no longer an island. A ship docked on the Shilhay. J L Thomas made candles and soap. The entrance to Coney Lake is on the extreme left. Engineering works in the 1970s. 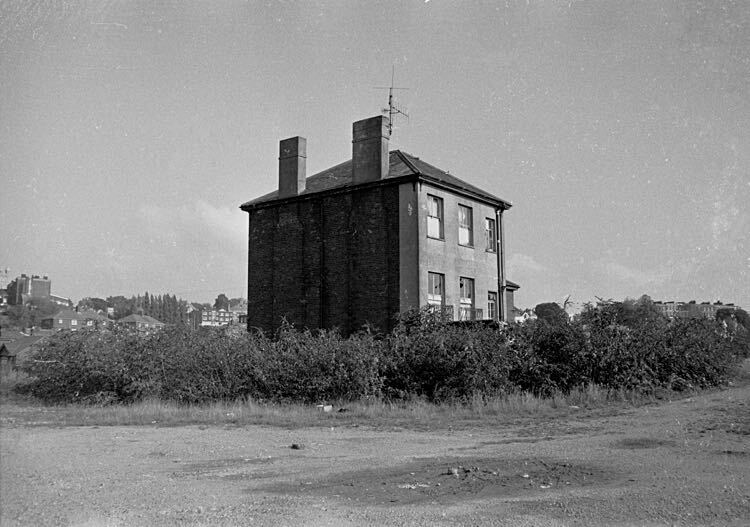 The Gabriels Timber Yard house is to the right. The house became marooned as the area was cleaned up in the 1970s. Burning clothing of cholera victims. The award winning social housing.